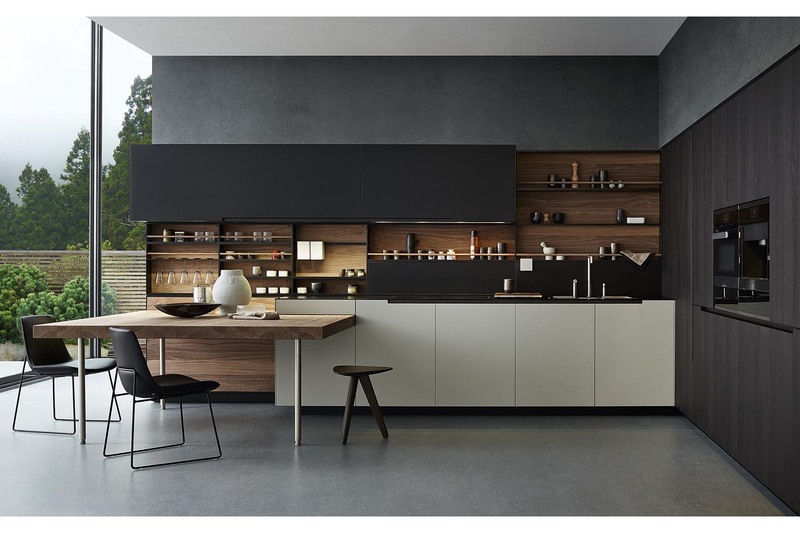 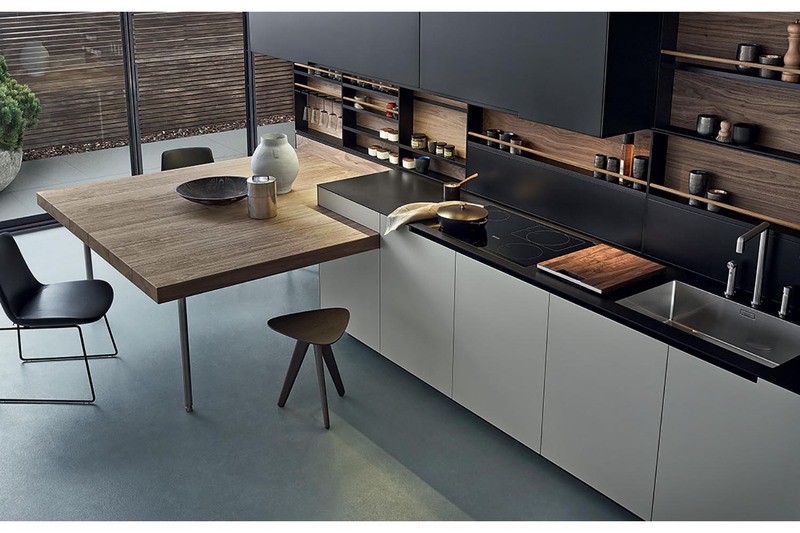 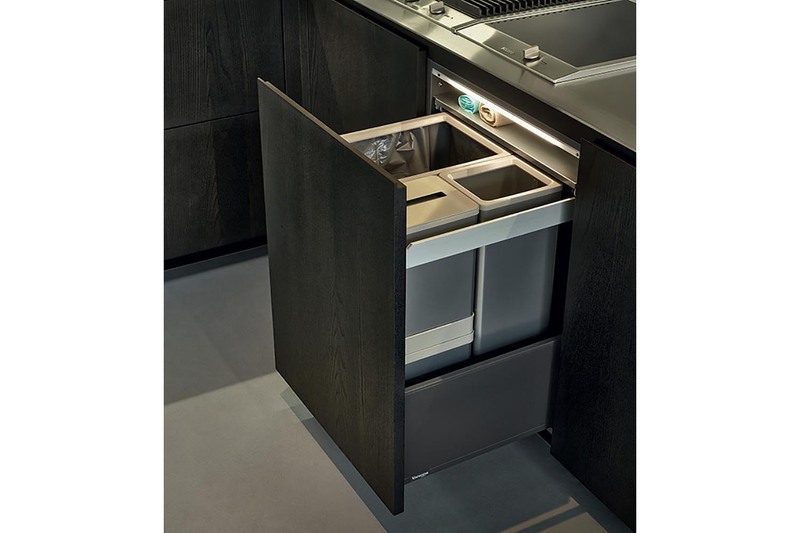 The Phoenix Kitchen is distinguished by subtle and pure geometric lines, giving life to a contemporary and exclusive kitchen.An air of purity is accentuated by slim modules and the distinctive absence of handles. 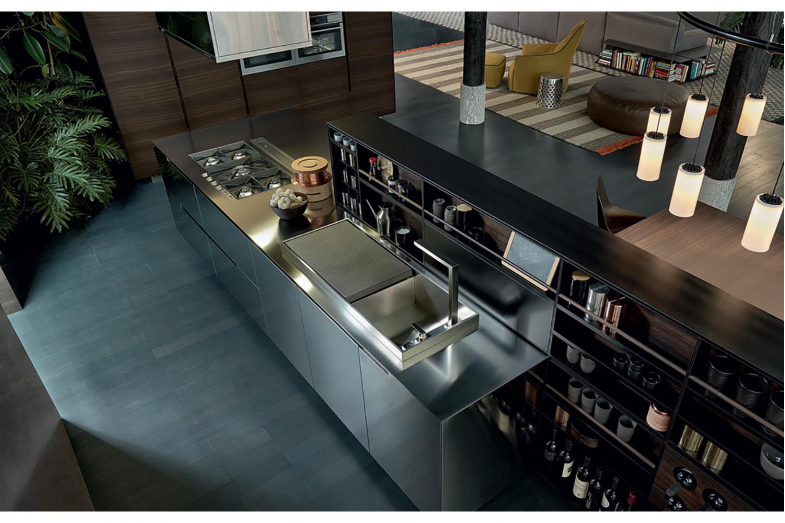 The worktop in steel thickness 6 mm and the new design of the Phoenix handle characterize the island. 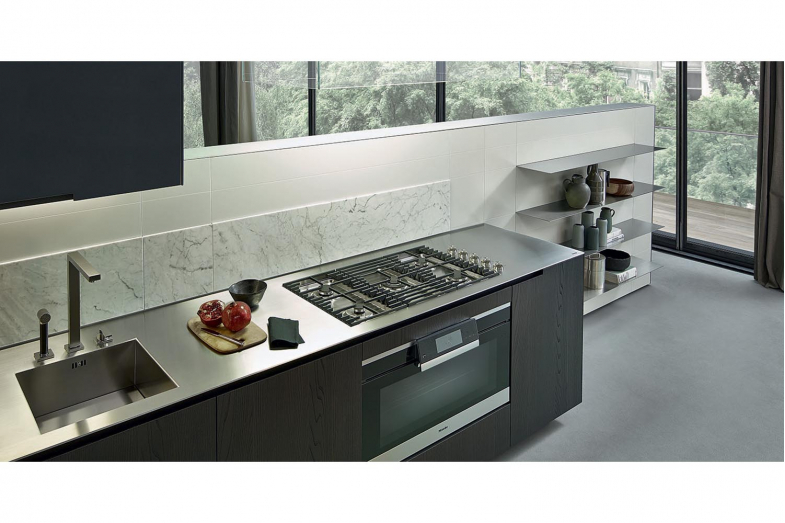 The handle profile is obtained from the combination of the straight channel and the 90° carved door profile. 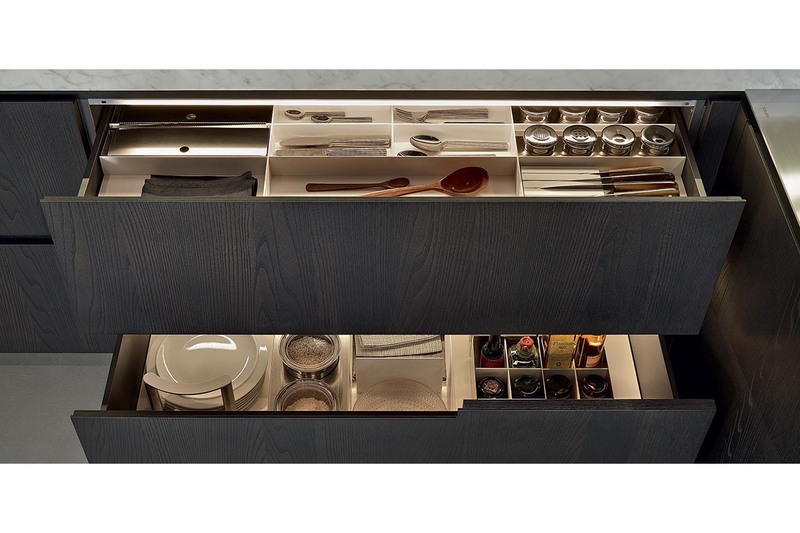 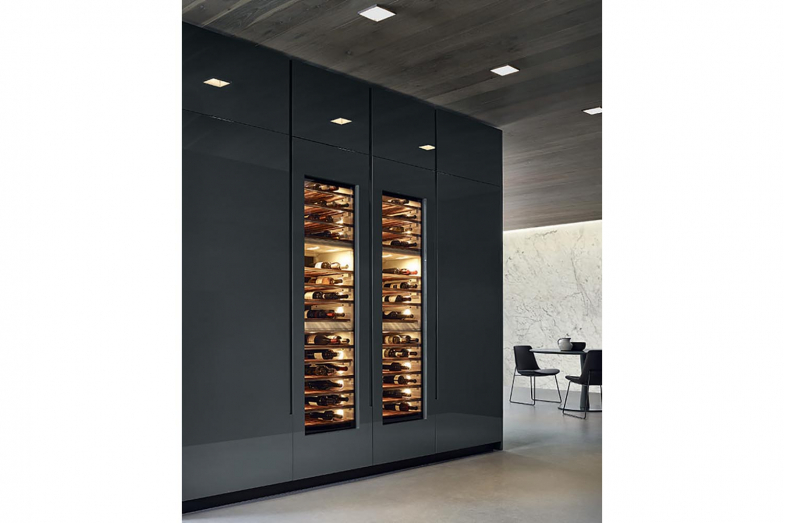 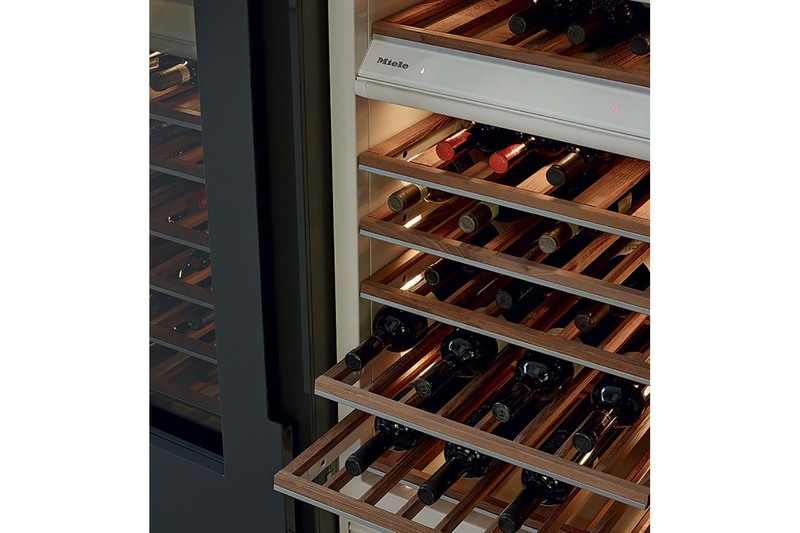 The collection interprets the contemporary kitchen in its entire variety. The maximum freedom in compositions enables original proposals, which are defined by a wide range of materials, finishes and colours.